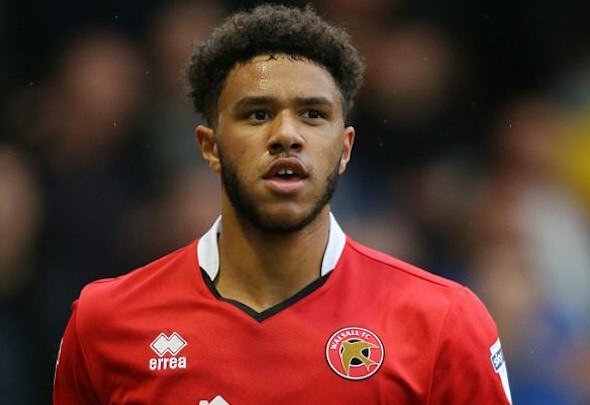 Tyler Roberts is set to spearhead the Leeds United attack in their Championship showdown against Millwall on Saturday, Marcelo Bielsa has revealed. The United manager explained at his media conference at lunchtime on Thursday that the 19-year-old is his first choice to replace injured duo Kemar Roofe and Patrick Bamford. Bielsa explained that Roofe has joined the club’s mounting injury list after sustaining a knock, while it was confirmed on Monday that Bamford is out for four months with cruciate damage. A few days ago, Roberts was Leeds’ third choice striker and would have been hoping for a place on the bench, at best, for the clash at Millwall. Now, the January signing from West Brom will be fast-tracked into the starting XI for the first time in a league match at Championship level. It is a sudden promotion as a result of events out of everyone’s control. How Bielsa would have loved to have arrived at the New Den with red-hot Roofe, with four goals from six league matches already this season, leading the attack and Bamford on the bench as back-up. Instead, rookie Roberts will be the main man. The teenager is yet to score a goal for Leeds and has, frankly, looked very raw in the two appearances he has made for the club to date. He made two cameo appearances for Wales during the international break, which is proof of his promise and potential. Now, the onus is on Roberts to rise to the occasion for his club.